This is what the reluctor ring looks like when it has failed...I've removed the brake disc and caliper as I'm fitting new discs, it's actually a lot easier to replace the CV joint/reluctor ring with the disc off. To start off....if you have steel wheels undo the wheel bolts and pull out the clip at the end of the driveshaft and remove the castle fitting then undo the 35mm nut, it WILL be tight! If you have alloy wheels take off the wheel and pull out the locking pin and remove the castle fitting, refit the wheel and undo the 35mm nut. 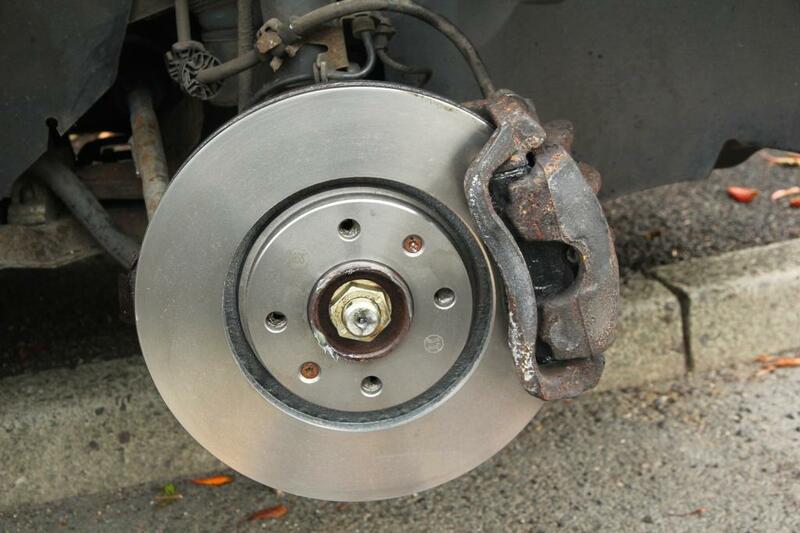 If you are not replacing the discs undo the 21mm nut on the bottom ball joint then screw the nut back on a few threads to protect the threads when you hit the bottom suspension arm.....if you are changing the discs at this time, remove the caliper and the caliper bracket 13mm and 17mm spanners to undo the bottom caliper swivel then swing the caliper away from the disc before removing the caliper... cable tie it or something to keep it out of the way. 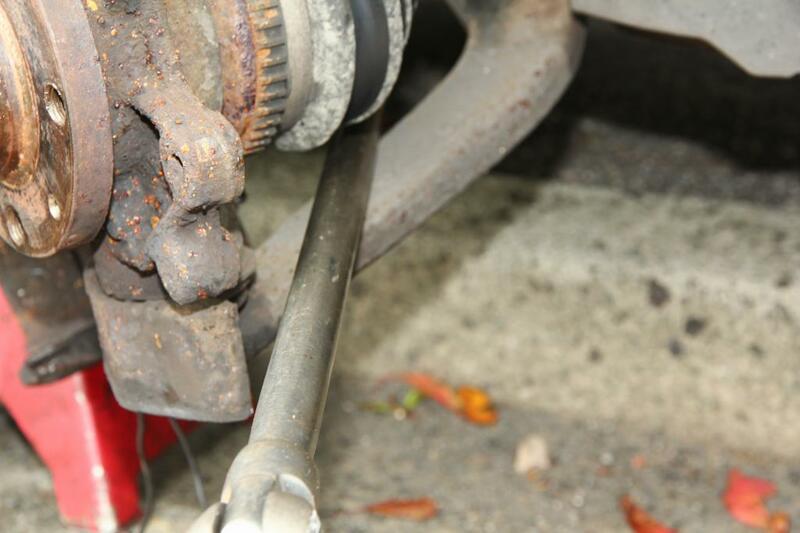 Take a good size hammer and hit the side of the bottom suspension arm to free off the ball joint. Using a pry bar...I used my breaker bar....pull down on the bottom suspension arm and free the ball joint from the bottom arm. 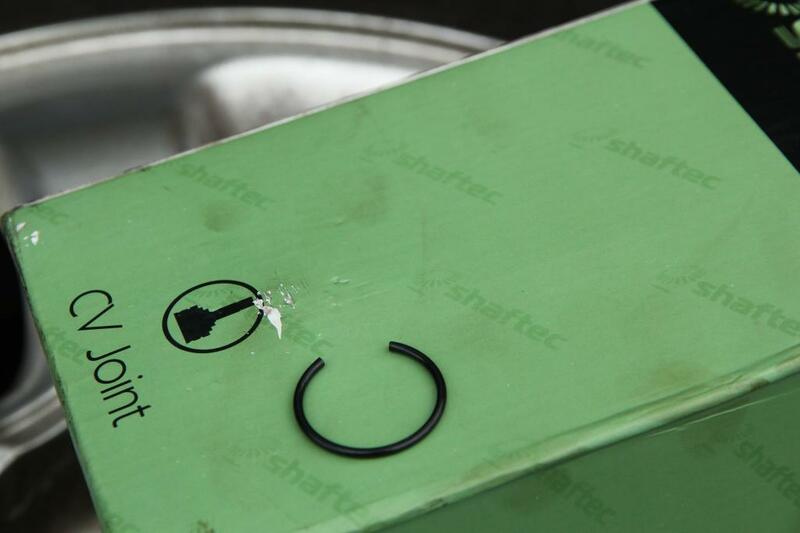 If you are changing the lower mount you can now undo the mount bolts and the bracket from the engine. If you are changing the reluctor ring knock off the old ring ....mine just fell off...and clean up the surface where the ring fits...make sure there is no rust left, it must be spotless before you fit a new ring. Make sure the reluctor ring is the correct size....there are 86mm inner diameter and 90mm inside diameter as far as I know.....the teeth are the same number.....48. 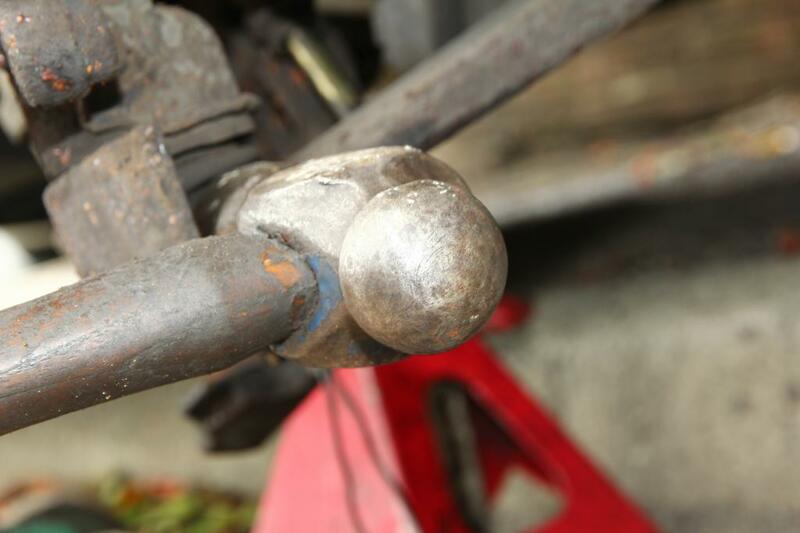 To fit the ring you must heat up the ring until it is a blue colour...use a plumbers torch, welding torch or put the ring on a gas ring to heat it up....fit it onto the CV joint and allow it to cool down naturally. 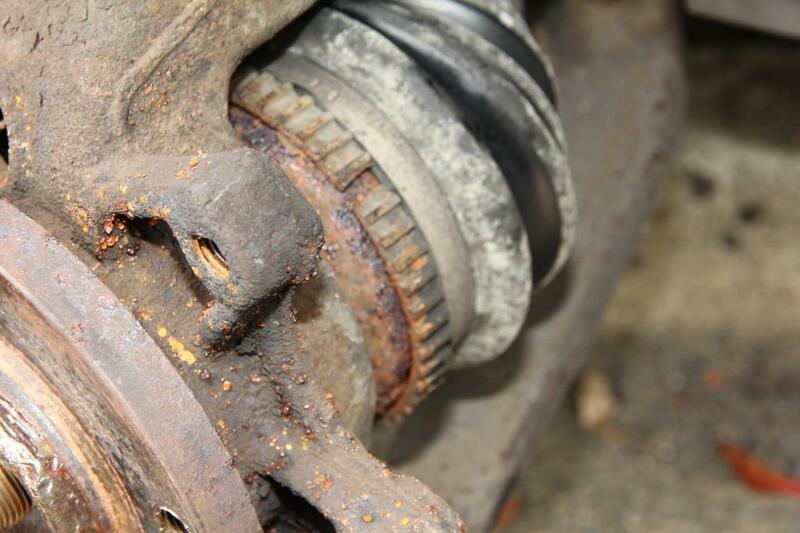 If you are fitting a new CV joint, hit the back of the joint until it springs off the driveshaft....remove the CV joint rubber and the metal ring from the driveshaft and clean up the shaft. 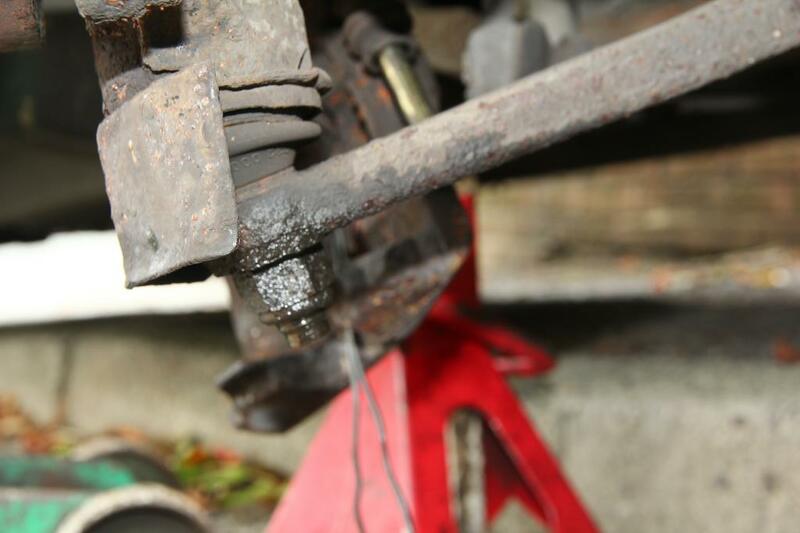 If you are just fitting a new CV boot be careful hitting the CV joint...use a wooden drift and normal hammer or a copper/plastic headed hammer. If you have now fitted your reluctor ring then refit everything in reverse order. 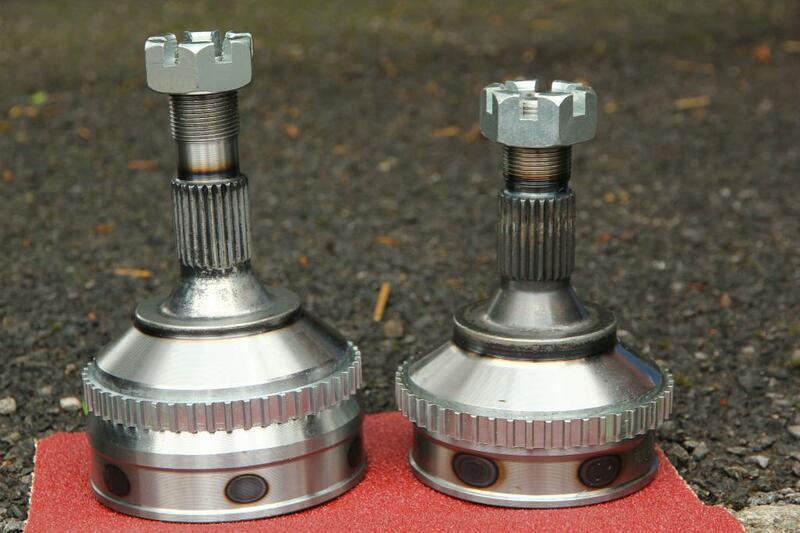 If you are fitting a new CV joint or new boot slide the new rubber boot onto the driveshaft then take the new joint and the CV joint grease, pack the new joint with grease and slide the joint onto the shaft without fitting the clip...work the grease into the joint by turning and twisting the joint on the shaft. 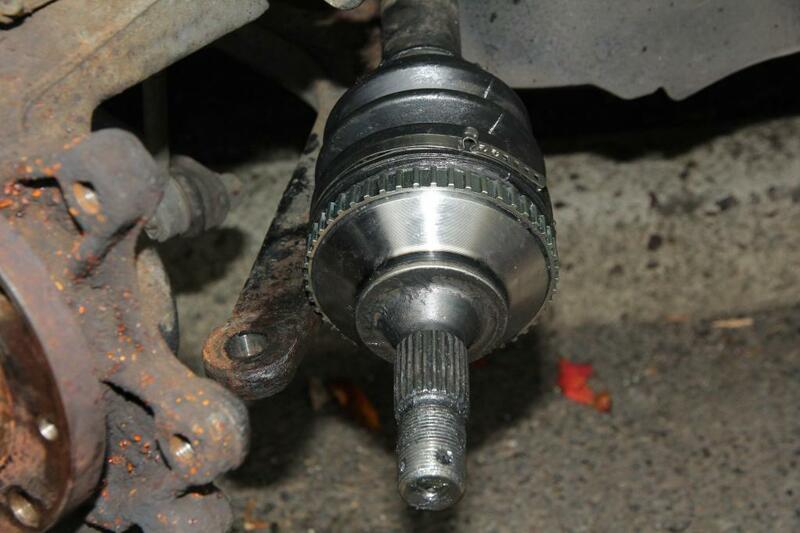 Once you worked the grease in properly remove the CV joint and fit the new clip to the shaft. 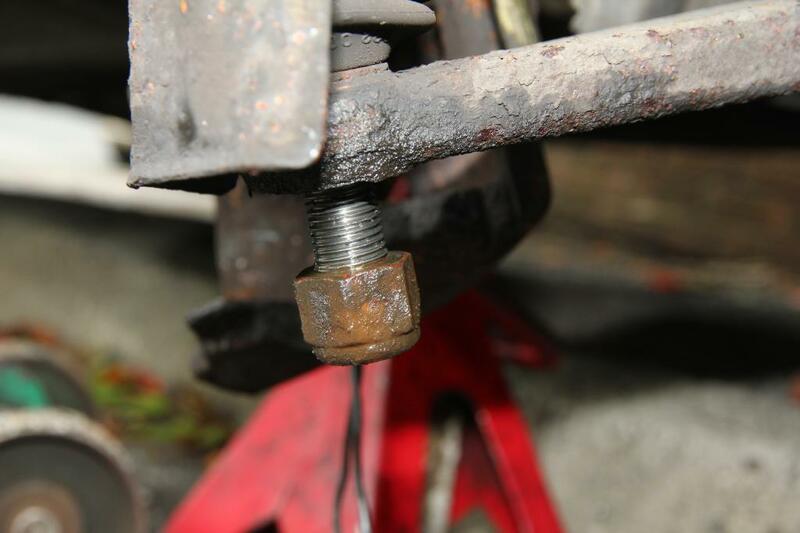 Before you fit the new clip get your mole grips and squash the open bits of the clip into a more "round" clip this will help when fitting the CV joint as the clip will not stick out and stop the joint going on smoothly. Carefully ease the clip onto the shaft. Screw on the big nut a few threads to protect the threads, offer up the joint onto the splines of the shaft and tap the shaft until it is fully home....if it won't go on easily take off the clip and squash it some more. 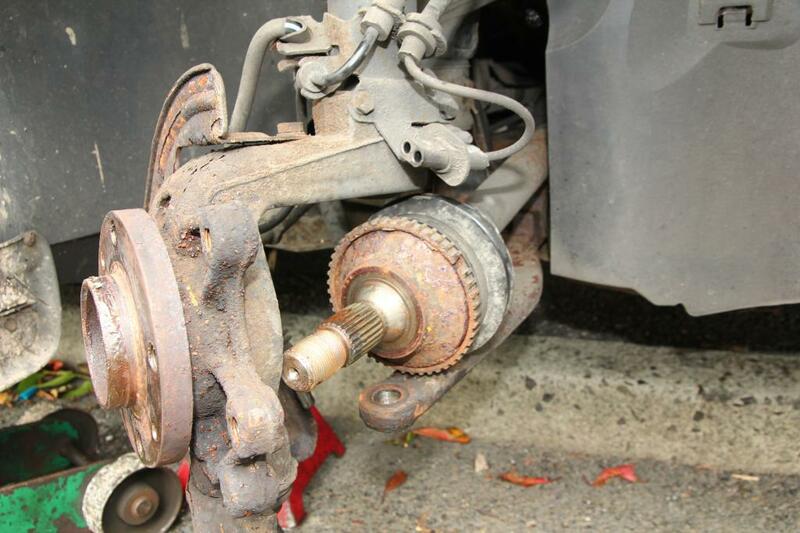 Fit the new rubber boot onto the CV joint and fit new clips. Refit the driveshaft into the hub, fit the nut and tighten a bit....refit the bottom ball joint and tighten the 21mm nut. 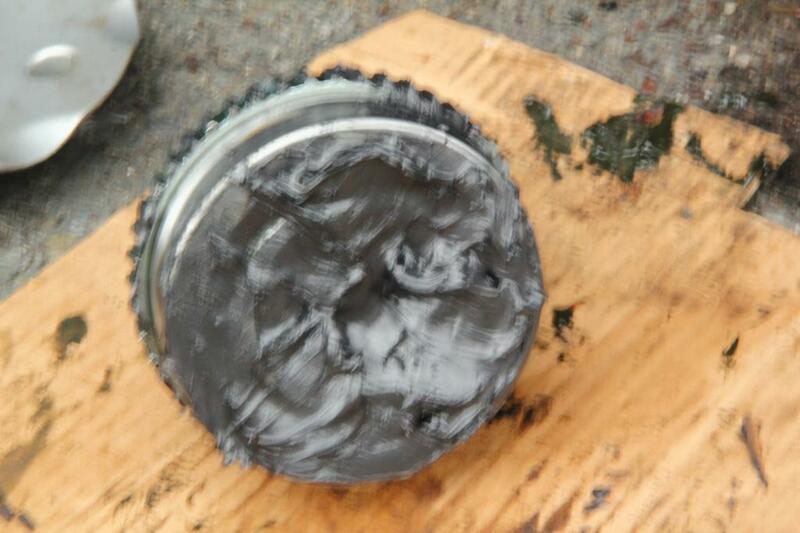 Here is the finished job just before final tightening of the big nut.